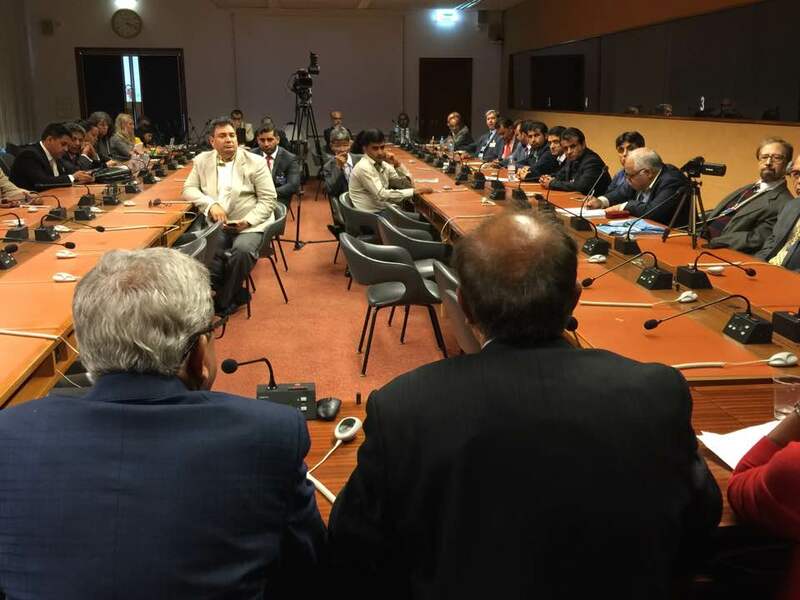 Human Rights Commission, held a side event during the 33rd Session of the Human Rights Council on the systematic killings of lawyers and human rights activists in oppressed regions of Pakistan. The participant speakers expressed their concern on the situation of human rights in Pakistan, stating that that the country’s record over the past six decades has been poor, with the country having suffered immensely under dictatorial regimes, when rights were held in abeyance. However, presently too, on the civil and political front, Pakistan abuses the rights of minorities, the rights of the women, the rights of children, and the independence of judiciary, giving support to arbitrary detention, custodial deaths, extrajudicial killings, summary executions, and enforced disappearances. The speakers deplored the systematic killings of lawyers and said that the attacks on lawyers, particularly in Balochistan, where 73 lawyers were killed in a suicide bomb recently, was a planned attack on the crème de la crème of society, showcasing the vindictive designs of the establishment. The State aided and abetted non-State actors to silence the lawyers, who were voices of dissent against enforced disappearances and extrajudicial killings. With the world’s attention now on the region due to the China Pakistan Economic Corridor (CPEC), the issue of enforced disappearances had begun to find new voice; the State, fearing international backlash, commenced a systematic crackdown on intelligentsia of the region to muzzle dissenting voices. The mighty CPEC corridor has been painted with the blood of those who stood up for their fellow countrymen. The August 8 attack on the legal community of Balochistan was intended to eliminate those who might stand in the way of the CPEC. The surest way to chaos and tyranny in any region is to remove the guardians of independent thinking. Since 2001, more than 250 lawyers have been killed in various incidents of violence across Pakistan. Doesn’t the inaction of the State itself amount to silent assent for the forces of violence to continue with barbarities of such grotesque proportions? On September 2, terror once again visited Mardan, KP Province; the modus operandi was similar – a suicide attacker lobbed a hand grenade before exploding himself and killing 14 people, including six lawyers. The UN must hold a probe into the planned killings (via suicide bombs and targeted attacks) of lawyers in Balochistan, where the State has been conducting operations for the past 14 years. The Pakistan government has failed to conduct an impartial probe into the killings of 73 lawyers, and we cannot expect an impartial investigation from a state that is itself party to gross human rights violations in the region. The international community and the UN must ban all defence and military aid to Pakistan until a complete restoration of human rights is guaranteed to all people living inside Pakistan. 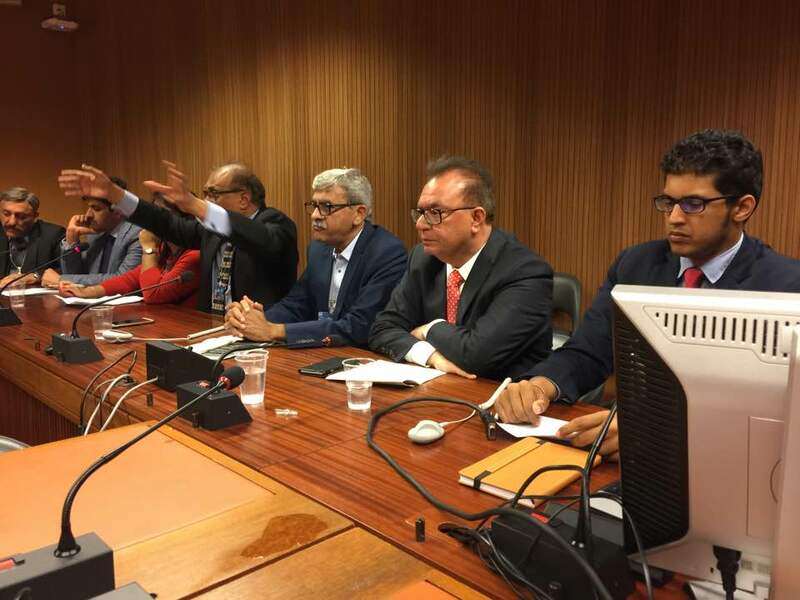 The UN and the international community are urged to influence Pakistan to protect and respect minorities and abolish Blasphemy and other such discriminatory laws. The international community and the UN are requested to pressure Pakistan to ratify all human rights treaties that Pakistan had originally signed and promised to uphold. The international community and the UN are urged to support the legitimate struggles for freedom, democracy, and national self-determination of Sindh, Baluchistan, Occupied Gilgit and Baltistan, and Occupied Pakistani Kashmir. The international community and the UN must put pressure on Pakistan to develop institutions of justice that are capable of uphold the rule of law and guaranteeing human rights. The international community needs to pressure Pakistian to stop using territories of Sindh, Baluchistan, Gilgit and Baltistan, Afghanistan, and Occupied Pakistani Kashmir for harvesting terrorism. The international community must ensure that Pakistan stops supporting and funding international terrorist activities and completely dismantles all terrorist infrastructure. The international community is requested to pressure Pakistan to stop supporting conservative versions of Islam (Wahhabism). The international community and the UN are urged to help free all forcibly disappeared political activists of Sindh, Baluchistan, Gilgit and Baltistan, Afghanistan and Occupied Pakistani Kashmir, which include the activists Baba Jan, Iftikhar Hussain, and Tahir Ali.